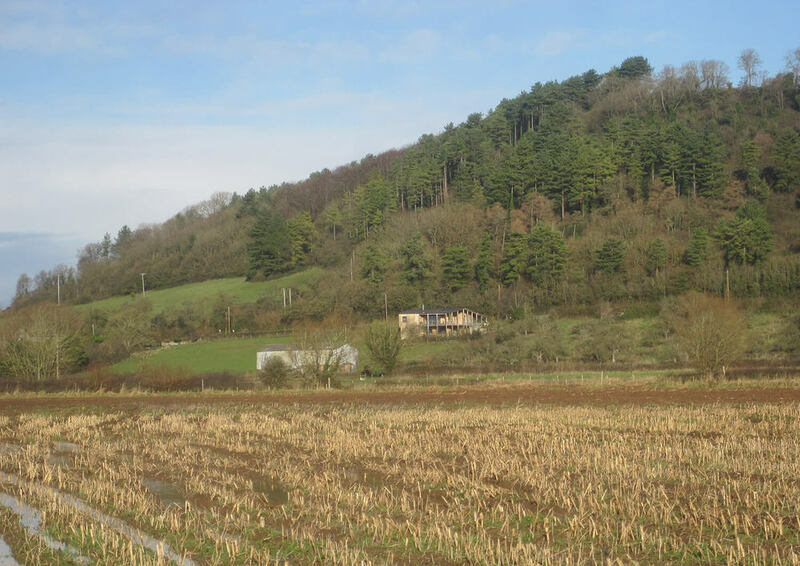 Set at the foot of a wooded hill the house is designed to take best advantage of fantastic views across the Somerset levels. Different rooms relate directly to distinct areas of the garden creating an experiential richness that extends the domain of the interior into the surrounding landscape. The house has been built to Passivhaus standard which means it achieves very high levels of insulation and air-tightness. The wall construction is vapour permeable to moderate humidity and create a healthy internal atmosphere. A mechanical ventilation system with heat recovery provides constant fresh air throughout the colder months when it is undesirable to open the windows. 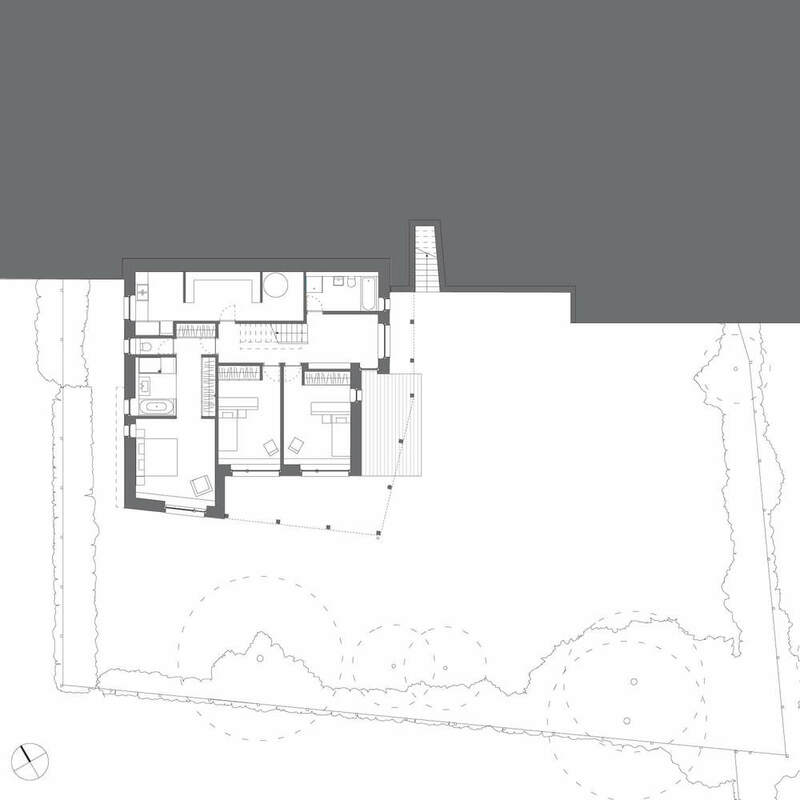 By digging the lower floor into the hillside planning permission was gained for a 2 storey house that is only marginally taller than the bungalow it replaced. Its form relates to nearby agricultural buildings rather than the suburban houses in the village. A gently sloping roof extends beyond the building envelope on three sides to create sheltered outdoor spaces that blur the distinction between house and garden. This welcoming, sheltering gesture works in harmony with the energy strategy by providing summer shading to the large windows. 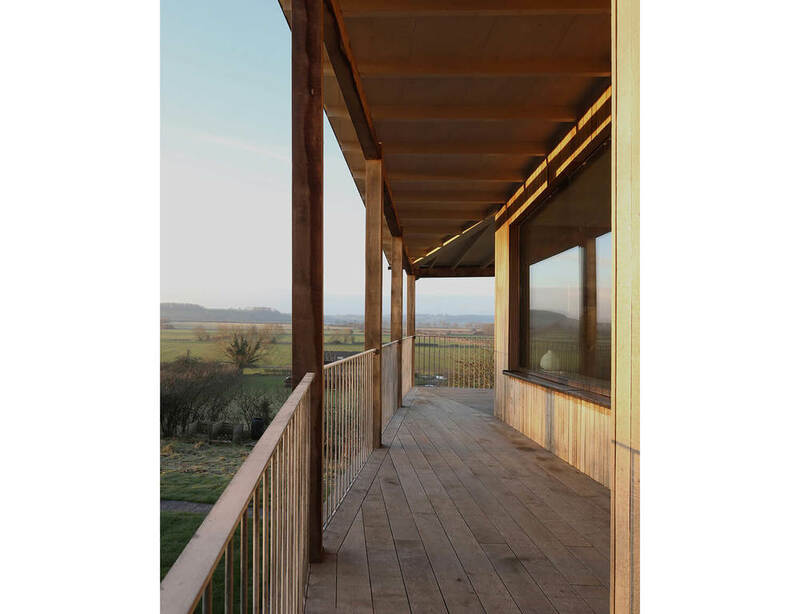 Green oak posts support the roof, tied back to the main timber-framed structure which is also clad in green oak that will patinate and weather over time. 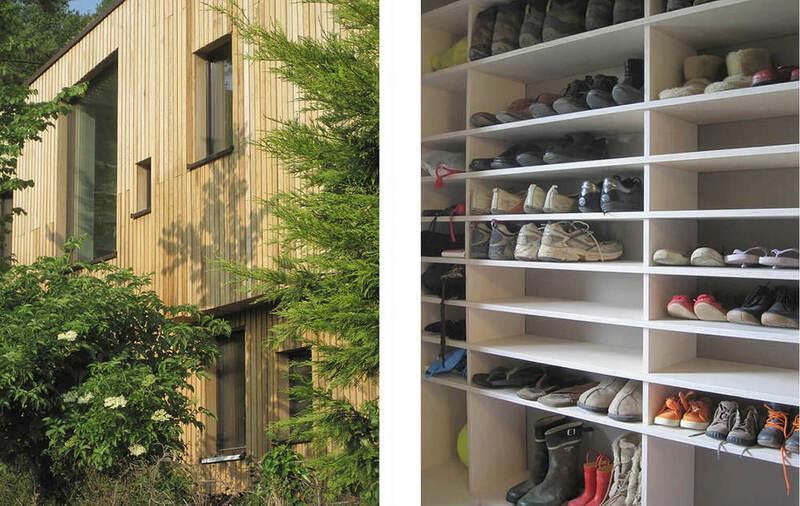 Internally the rooms are lined in planed oak or painted plywood, a more refined version of the characterful external cladding.